South Yorkshire NHS trust, today released figures from the first quarter of this year. Within those figures the trust states that they recorded 68 instances of patients presenting to hospital with suspected heart issues that had called the emergency line because of worrying readings from fitness trackers. Of those 68 incidents, all received positive outcomes. According to the trust a large proportion of these outcomes can be directly attributed to early action taken because of patient concern regarding readings on tracking equipment. With those kinds of results it seems ever more likely that the story below will become the norm rather than news worthy. According to a report from NBC NewYork, Monzidelis was working at his family-run bowling alley in the Bronx on April 3 when he says he went to the bathroom and started bleeding. He was also feeling dizzy at the time. Soon, he says he got a notification from his Apple Watch telling him to seek medical attention immediately. It’s a good thing Monzidelis heeded the warning from his Apple Watch, and left when he did: During the ensuing 30-minute drive to the hospital, he told NBC that he lost about 80% of his blood in the car and was constantly drifting in and out of consciousness. When Monzidelis reached the hospital, the medical team there discovered he had ruptured an ulcer. And according to NBC, doctors believed if Monzidelis hadn’t received the Apple Watch notification when he did, he may not have survived the ordeal. The doctors said Monzidelis may have simply ignored his symptoms, due to the fact he was healthy prior to the incident, and waiting too long may have been fatal. “I would have been working in my office and they would have found me dead,” Monzidelis said. The current batch of Smart Watches, though supported by very clever technology, are considered to be fundamentally merely rudimentary compared to what will eventually be offered to us in the future. So if they are beginning to be recognized the world over as being a very useful personal piece of equipment, even (if not especially) if you are not using them to support an exercise regime, now. What are they going to bring to the table in the future? And are they positioning themselves as an essential piece of personal equipment. A Giant Leap Forward or Several Large Steps? For the last 10 years we have been spoiled by the technical innovation and rapid progression of the Smat Phone. To the point that choice has been so varied and confusing. We have gone through the stage where there were 4 main players in the market with numerous innovative companies buzzing around the periphery basically driving the industry forward without too much recognition. That was driven down to 2 main market leaders each driving their own sector, Apple with IOS, and Samsung with Android, both with massive presence in China, driving the business forward quickly by using the lack of patent legislation in that country. Tactically for both of those companies that has proven to be a bit of a mixed bag. The lack of patent law has given both companies the ability to quickly adjust to technical changes, bringing innovation to the market much more quickly than had previously been known. But it has allowed smaller quicker companies to steal the innovation away from the big 2 and to force a considerable gap in the otherwise dominated market. In many ways this has been to the benefit of the consumer with technical advance being available much quicker and allowing us, the consumer the knowledge that we had immediate access to truly cutting edge technology. We were finally part of the drive forward, rather than looking at tech programs or magazines aghast at what possibly lay ahead of us. Now we were actively involved.in what we feel is the future. The market now is beginning to feel cluttered with consumer choices, and has come to the point that you only choose the Apple icon, which is just starting to feel a little claustrophobic, or Android. As either is in reality as advanced as the other, and where they are not independently, they just adapt their own technology to emulate the other. All the rest is just gimmick. But a mind-blowing variety of gimmicks, and we are left trying to choose a perfect fit for us as individuals. The starting point for this explosion of innovation and choice is very easy to trace. This all started with the global adoption of 4G, as a standard. Now I know, even on a tiny advanced island nation as the UK, 4G is far from being universal, with very patchy coverage, but that isn’t the point. All modern communications networks are 4G enabled and that is what allowed the acceleration. Now a word of warning deserves to be placed here. If you think that the choice is confusing now. I can tell you that China, and Japan are light years ahead of us. As we contemplate with eagerness the roll-out of 5G, in the next few years, China and Japan have already successfully rolled out 6G. And so they have been in the position that we find ourselves in now, they have been in for a number of years. And a quick look at their market reveals that there has not been a dominant brand of mobile phone for about 5 years now. Rather, a multitude of quick moving manufacturers that offer a truly spaced out selection of gimmicks and variations. The Smart Watch/Tracker industry is at a major junction currently that it is about to release the barriers to further development. It is a point that has been forced upon the industry because of the perceived potential demise of the tracker that has been brought on by the simplicity of the current technology, and the advance of the Smart Watch. The glass ceiling that is currently holding the industry back is also no surprise, it is recognizable standardization. The current big 2, Apple and FitBit, have identified this and with future innovations such as BP, Glucose, Oxygen saturation and early warning alarms all just a mere nod away from being reality, they have both presented proposal papers before the US drug agency for approval. With a massive raft of pre-developed and ready-to-go technology all forcing up behind these applications, it is difficult to see the situation as only being a matter of time before the floodgates open. And don’t kid yourself, into a false sense of security because where the Fitness Tracker goes, the Smart Watch will follow, also with even more innovations to keep them relevant. All you need to do is take a glimpse at the drawing below which is a drawing from a patent application posted last month from Samsung, for a watch that uses your skin as a keyboard/mouse! I am pretty new to this whole computer thing and I actually feel out of place commenting on someones page giving feedback when i dont exactly know what im doing as a whole yet. I will sure try to help out though. I enjoyed the read of the article and the web design. I think that there is many points expressed in it. The world has the technology to be able to incorporate this into a product that will benefit people medically. Personally i guess i do not understand why they have not yet.. It actually excites me to see all the work you have done, knowing I have a lot to learn in this field yet with my site. Being a rookie for me is difficult for the fear of the not knowing. So having said that, i happen to think that your progress is pretty dang good if you ask me.. I do not know enough yet to tell what could use work or what is actually stellar. All i know is, I like the article and the design you used for the info you shared. The only idea I really can put forth to you is the fact that I like back round photos and stuff like that. I know some people do not like things that “busy”, but its just a thought!! Like a big medical cross in the backround or something that obviously pertains to the reading. It grabs the attention of people, I know it does for me!! I always try to keep the “plain” out of anything I do. I Dont know if it would fit in with this serious of an article or not, but its something you could mess around with. Thanks for the opportunity !! It’s good topic wearable fitness. You are giving a detail to smart wrist watches. Most of people not familiar with todays technology, they need more knowledge . You cover a lot however you explain about types and there functions. That one is amazing. Most of your post is good ,I like it with huge details. Thanks for this article it is really entertaining, I believe every wearable materials or gadgets should have the ability to detect a person health I believe this will help to prevent and reduce death rate. As cancer would be detected early before it is too late. Thank you so much for this post once again and I totally agree with all what is been said. I never owned those tech watch but now I’m very curious… Does Apple watch monitor BP, pulse, and pulse ox? I am wondering how that works. I can see how it can measure pulse but I’m not sure how it can monitor other things. If it can monitor all three, I feel like senior patients will greatly benefit from owning one of those. I know Glucometer is already portable and convenient the way it is already but can you imagine Apple or Fit bit making one of those but even better? I’m excited for what’s to come next. Amazing, I never knew these smart watches could do things like this. The guy loosing blood or the 68 patients going to hospital because of warnings from their wrist is a real signal. Today’s technology is way further than many of us know. I wonder how all these data can be read by these gadgets. I head of watches that can be used for sports, monitoring heart beat and blood pressure but I guess we’re close to a totally new aera. How long do you think it will take until health insurances will demand for us to use such devices? Thank you for your wonderful review. And in answer to your question, I guess that it is just a matter of time. Although the endorsement of the US drug agency should be a large step in that direction and that is expected early next year. This is a very interesting article. I never thought about how the Apple Watch could be used as a health and fitness tracker also. Although my Fitbit recently died, I loved it. I keep forgetting that my iPhone has the health apps also. Your post, especially the parts that talked about how people were able to seek timely medical attention after some sort of warning from what I am assuming was a smart phone, watch or other fitness devise has caused me to realize the potential benefits. They are obviously for more than just counting steps, stairs and miles walked or run. I have been eyeing a smart watch with fitness applications for over a year now. I can’t really justify the cost or the size of the current options, especially considering the line of work that I am in. It is awesome that the fitness tracker on these smart watches can be so in tune with your body’s impulses that it can warn you of a deadly problem. Technology is taking a lot of the guesswork out of fitness tracking. I own a scale that has bluetooth capabilities and will send info to my phone for all the important stats for tracking fitness, just by stepping on it. I may have to rethink getting one of these watches. Guess I’d just have to make it work! I do have a fitness watch and it’s the Garmin. I like it because it can track all my fitness workout and with all the possible features, I can really set up a good training. It doesn’t seem to calculate the blood pressure and glucose but it give my heart rate and my breath sequences. Sometime when I looked at the watch, my hearth rate is very high and I question myself about the reading. I do not know if you know anything about the Garmin, but, do you thing the heart rate reading from the wrist is precise if do not use the heart rate belt? As for your question, I am afraid that without knowing the model of your watch I am powerless to comment in any detail. Only to sound a slight word of caution, this is a very new technology that is developing very rapidly. most early (and by that I mean anything older than 1 year old) can only be trusted as a guide and when it shows you something that you don’t quite trust or doesn’t make any sense it would always be a wise step to check against something that you know is reliable. Very interesting story about Monzidelis, but how did the apple watch detect that? From his heart beat? Didn’t say in the article. Agree, I was in Japan used to work there 8 years ago and still visit from time to time their technology blews my mind. They have everything automatic, the cell phones where you can get reception anywhere, underground, hi def camera. I remember I love going to Big camera in Japan and Akihabara is also my favorite place. Back to the topic, so how are they gonna develop a technology that can detect our health? Like blood test kit? Can’t wait to see one coming out. Thanks for your wonderful review. In answer to your question his watch alerted his phone about an irregular heartbeat, and his phone was set up to sound an alarm. Good post. I love the fact that technology is advancing daily. Lots of innovative gadgets that most people would hardly think about are being released. But my worry is always about the side effects. The benefits of a lot of these gadgets cannot be overemphasized just like you mentioned in your article, it saved a life. But I always worry, are there any side effects or negative implications of having such health gadgets so close to the body all the time? Pardon my ignorance. Hi, Thank you for your wonderful review. In (at least a partial) answer to your question, part of the reasoning behind the smart watch originally was that it could alert you to your phone and hopefully keep at least a little distance between you and the powerful battery and transmitter within. Thanks a lot for the helpful post. Indeed, nothing in this world equals saving a life. Thanks for sharing the NHS trust figures and it made me to give a serious thought. 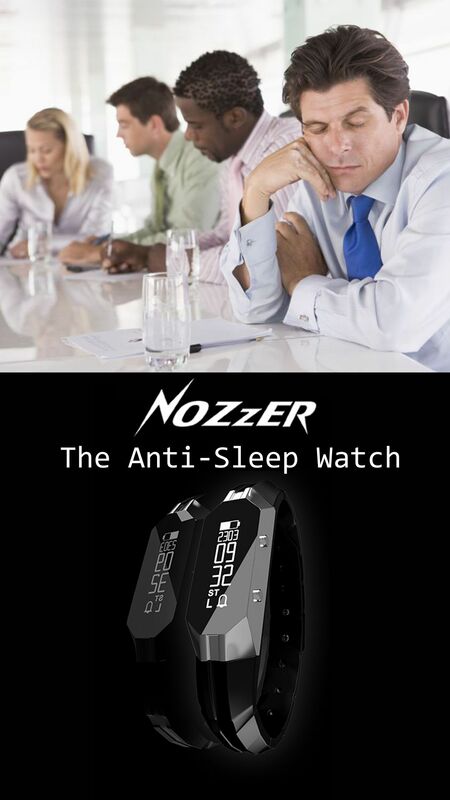 After reading the Monzidelis story there is no doubt the Smart Watch is a must for everyone. I shared this informative post with my wife and she is excited & amazed on the development of the technology. It’s all about how we make use of the technology. Smart watch is indeed a life saver! Where and How to purchase this Smart Watch? Paul, Thank you for your wonderful review. Apple IOS, or Android? If you have the iPhone then you have 2 routes Apple or FitBit. If you have an Android phone it is much simpler your route should be FitBit. I currently have no access to a reduced cost via Apple and would suggest either Amazon, or Gearbest would get you a reasonable price (it really should be the iWatch 4). If you decide on FitBit then my link in the margin of my posts will direct you to the best price currently available on all models direct from FitBit themselves. Thanks a lot for the helpful quick reply. I use Android so FitBit is the option to go with and for sure I will comeback to your site and follow your link to purchase.